Model-to-text (M2T) transformation is an important model management operation, used to implement code and documentation generation, model serialisation (enabling model interchange), and model visualisation and exploration. 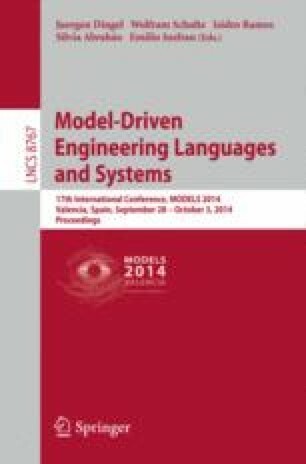 Despite the importance of M2T transformation, contemporary M2T transformation languages cannot be used to easily produce transformations that scale well as the size of the input model increases, which limits their applicability in practice. In this paper, we propose an extension to template-based M2T languages that adds support for signatures, lightweight and concise proxies for templates, which are used to reduce the time taken to re-execute a M2T transformation in response to changes to the input model. We report our initial results in applying signatures to two existing M2T transformations, which indicate a reduction of 33-47% in transformation execution time.